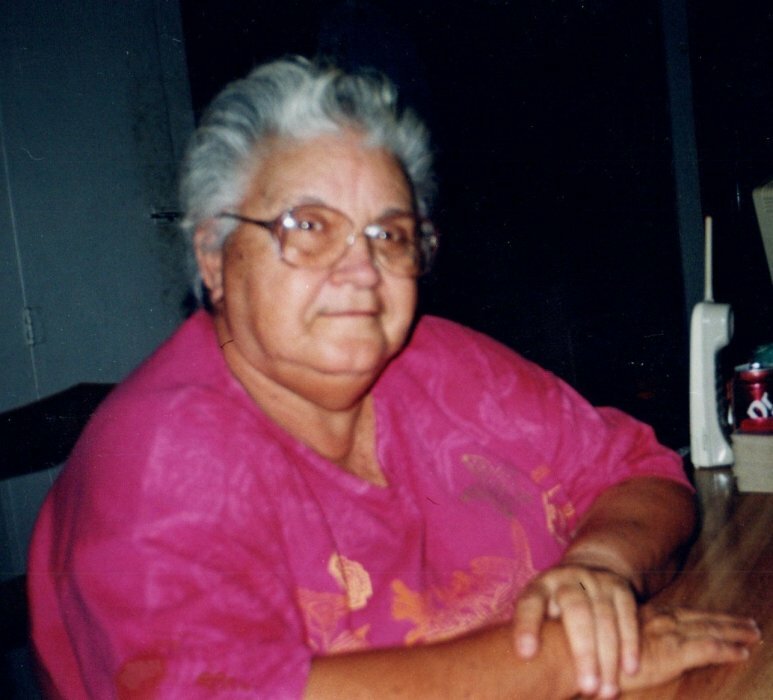 Hazel Reynolds, age 83, of Vinton, Louisiana, passed away on Sunday, January 13, 2019. Funeral services will be held at 1:00 PM on Thursday, January 17, 2019, at Dorman Funeral Home in Orange, Texas. Visitation for family and friends will be held from 9:00 AM until 8:00 PM on Wednesday, January 16, 2019. Hazel was born on Monday, October 7, 1935, in Rayne, Louisiana to parents, Sadie (Alleman) and Fernest Daigle. She had been a lifetime resident of Vinton, Louisiana after moving from Orange, Texas years ago. Hazel was a very loving, good hearted, Christian woman who loved her family dearly. She was a very loving mother and grandmother who was just as loved in return. She was of the Pentecostal faith and was a very active member of the Christian Life Church in Vinton, Louisiana. Hazel thoroughly enjoyed playing canasta, bingo, embroidering and making quilts. Hazel was a daughter, wife, mother, grandmother, great grandmother, great-great grandmother, sister and friend who will forever be loved and missed by all who knew her. Hazel is preceded in death by her loving husband, Homer Reynolds; father of her children, Wallace Navarre, SR.; son, Fernest Navarre; grandchildren, Tammy Mire and Mark Mire; brother, Johnny Stelly, as well as parents, Sadie and Fernest Daigle. Hazel is survived by her children, Sandra Brown and husband Ed, Nelson Navarre and wife Terry, Wallace Navarre, JR. and wife Cheryl, Cynthia Burgess and husband Kenneth, Mitchell Navarre and wife Vickie and Angelia Navarre and husband Frank; brother, Clarence Lormand; sister, Opal Bailey Moody and husband Danny; 29 grandchildren, 33 great grandchildren and 1 great-great grandchild.